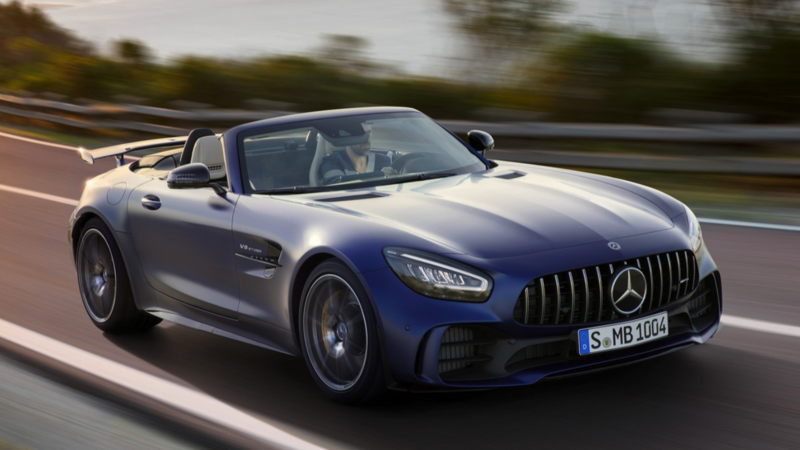 Slideshow: Mercedes-AMG has finally released a track-focused open-top version of the GT R. The GT R Roadster is built like the Coupe, but with an adjustable three-layered fabric roof. 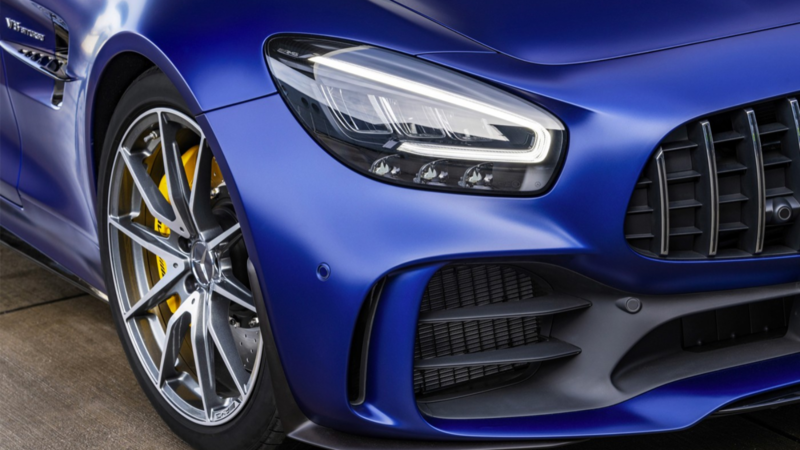 The Mercedes-AMG team at Afflaterbach recently launched the new AMG GT R Roadster, a limited production sports car that will only see 750 units produced worldwide. According to them, the new car "addresses a new, lifestyle-oriented group which pursues peak experiences". In a world where limited edition cars sell out before the general public gets to hear about them, automotive enthusiasts across the world will need to act fast. The new GT R Roadster is an open-top version of the track-focused GT R Coupe. 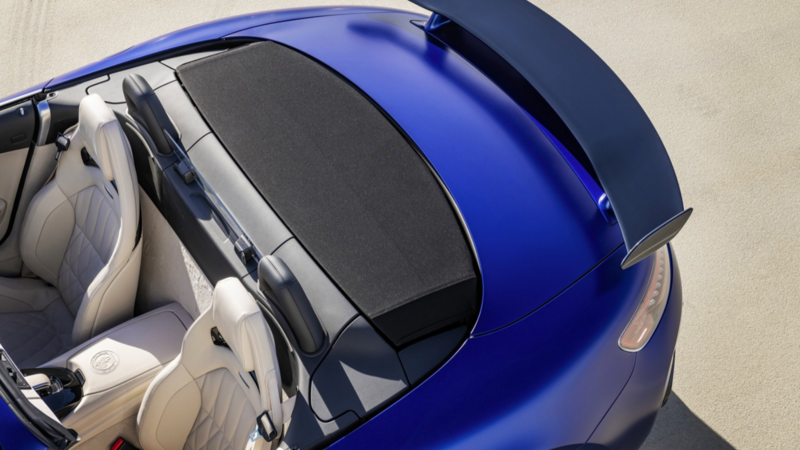 When it comes to the specification and equipment used, the only difference is the new triple-layered folding fabric roof that is supported by a lightweight frame made out of steel, aluminum, and magnesium. The roof also comes with an acoustic mat to minimize noise. 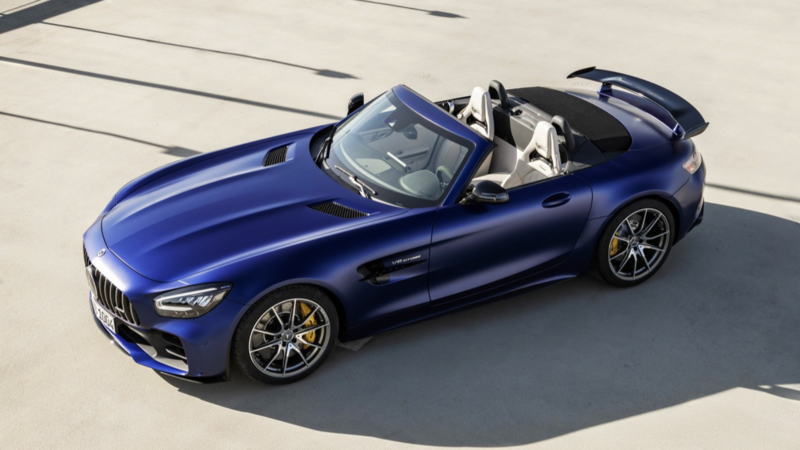 This time, Mercedes added another carbon-fiber package making a total of two for the Roadster. 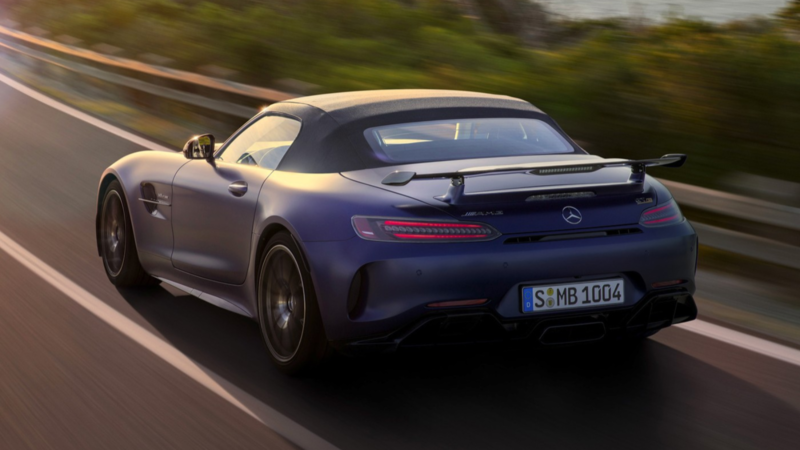 >>Join the conversation about the AMG GT R Roadster right here in MBWorld.org. The Mercedes-AMG GT R Roadster also comes with a wider body, active aero, model-specific 19-inch and 20-inch alloy wheels at the front and back respectively, and adjustable coilover suspension. The wheel liners come with exclusive cooling-air splits that pass more air. A special "fine designo graphite grey magno matte" paint is included among the 14 exterior finishes available. A fixed rear wing and yellow calipers complete the overall sporty look. 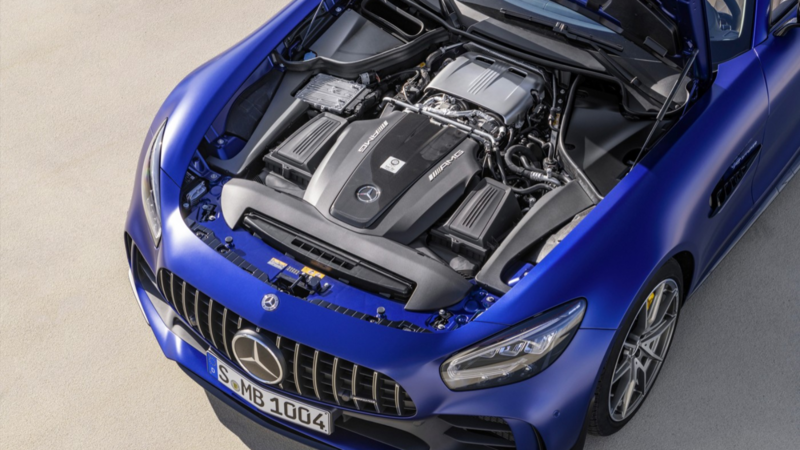 Inside, the AMG Exclusive Trim Package adds vent rings, armrest trim strips, a center console, and four instrument panel vents all made out of carbon fiber. AMG Performance seats come wrapped in Nappa leather with diamond stitching. Leather treatments include Silver Pearl/Black, Macchiato Beige/Black, and Saddle Brown/Black. There's also an AMG Interior Night Package that lights up the shift paddles, seat inserts, and steering wheel spokes to the owner's liking. The Roadster carries the same bi-turbo 4-liter V8 engine housed by its coupe counterpart. It produces an impressive 577 horsepower and 516 pound-feet of torque. This gets the Roadster from 0 to 60 mph in 3.5 seconds and allows it to top at 197 mph. The 7-speed dual-clutch transmission used in the GT R comes with a longer 1st gear and a shorter 7th gear for quick acceleration. The rear wheels are more agile and turn in the opposite direction to those of the front at speeds below 62 mph. Other features that make the GT R Roadster a marvel include an electronically controlled limited-slip rear differential, a compound braking system, optional carbon-ceramic units, and speed-sensitive sports steering. Mercedes is yet to provide pricing details for the GT R Roadster. However, considering that the Coupe version sells for about $159,350 in the U.S., the Roadster is expected to command a premium price that is even higher due to its exclusivity. The model will not be the only update to the GT series as there's already a Black Series under development.